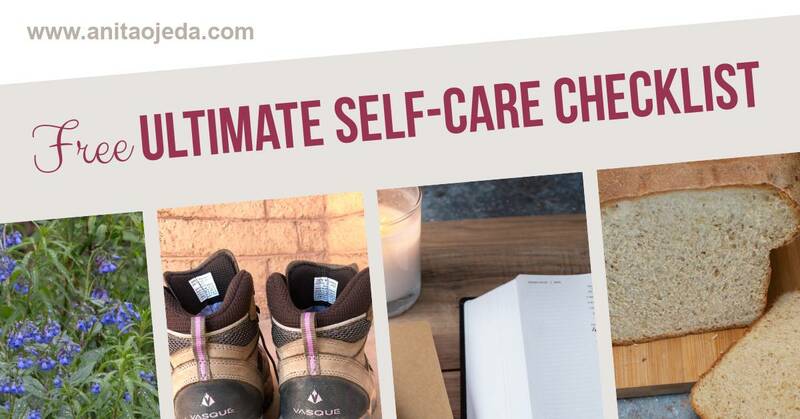 HomeGet Your FREE Ultimate Self-Care Checklist Now! During the month of March, we’ll explore habit-forming and how a self-care checklist can help you attain mental, academic/artistic, physical, and spiritual wholeness. Come back each Sunday for a new self-care checklist and suggestions about how you can form healthy habits. I remember hanging on to the handle above the passenger door in our 4Runner and trying not to let my white-knuckle reaction translate into frustrated words to my daughter. Maybe allowing Sarah to get her driver’s license at 15 and a half wasn’t such a great idea. I flipped the radio on to calm myself. Oddly enough, I remembered having almost the same conversation with our oldest daughter at about the same stage of her driving career. They’ve both possessed their drivers licenses for over a decade by now, but their similar responses to having the radio on while learning to drive illustrates a point about human behavior. Until we learn a new skill, we don’t have the brain space to do two things at once. But once the new skill, like driving, becomes a habit, we can easily listen to the radio and drive. As you form habits, you actually free up brain space to concentrate on other things. Self-care, the focus of this month’s series, involves forming positive habits that nurture our well-being. As we form each positive self-care habit, we free up our brain space to form more positive habits. Good habits have a snowball effect. As Dave Ramsey says, start with baby steps. Don’t try to incorporate 20 good habits at once, or you’ll set yourself up to fail. Start with one good new habit. When you do it automatically without thinking about it (21-70 days), add another one. In order to effect lasting change, we have to allow ourselves time to retrain our brains. When we form a good habit, the glow of success makes it easier to tackle the next habit. The snowball starts to build with each new habit, and it becomes easier and easier to build on our success. Just think back to when you first started driving, and how you drive now. When you drive your usual route, you may find it easy to talk on the phone, talk to your passenger, or sing along on the radio. But if you start driving in an unfamiliar place, perhaps talking, noise, or radios distract you and make you frustrated (especially in the midst of heavy traffic). If you prioritize the habits you want to form, you can identify which ones to start with—the easy ones. As you experience success, you’ll free up brain space and mental energy to form habits that seemed impossible at the start. For example, I started by keeping the kitchen counter clean. Now I find it easy to automatically empty the dishwasher while I steam the milk for my morning latte. With a clean counter and an empty sink, I find it easier to enter that space and not feel stressed. I’ve eradicated the litany of negative thoughts that used to march through my head each morning as I entered the kitchen. Vacations provide a break in our routines, which makes it easier to install new routines. Don’t Wait! Get the Ultimate Self-Care Checklist for Forming New Habits Now! I’ve put together a habit-forming system that will help you automate your self-care routine by starting with baby steps and allowing the snowball effect of good habit formation to carry you along. The self-care checklist allows you to define what nurtures YOU (every person feels nurtured and cared for in different ways). You’ll find out about the four primary areas of self-care: Mental, Academic/Artistic, Physical, and Spiritual (MAPS) and start your journey to better health and happiness. Don’t suffer from lack of self-care any longer. You DO have time to form good self-care habits. Ignoring healthy self-care can cost you in increased stress, lack of motivation, burnout, weight gain, and a host of other negative things. I know from experience—all of these things happened to me when I neglected to take care of myself during my husband’s cancer crisis. When you nurture yourself in a balanced way, you’ll find that you get more done, have more energy, and feel more positive about life. So, sign up to get the Ultimate Self-Care Checklist for forming new habits. It won’t cost a cent. I hear what you have to say about brain space, Anita. I feel like my brain space is growing smaller as I get older. I used to be able to juggle multiple things in my brain at the same time. Now I make a lot of lists so I don’t forget to do something I need to do. I still love to learn new things, though. One new thing a month is my new goal! This reminds me of the response to the question: When is the best time to plant a tree? The best time is ten years ago. The second best time is today. I think there is wisdom here for habits. I need to make some goals for spring. It’s already here and normally my health is better in the warmer weather so that means I need to form some new habits while the change to an easier season comes in. This post most definitely was a great reminder for me in this area!! Have loved this message series and have embarked upon some new habits that are starting to take hold. I agree you don’t have to make massive changes all at once…baby steps and then the momentum spreads. Thanks for these much needed reminders to be good to ourselves. I hadn’t realized it, but I do that – turn off the radio and ask others to be quiet while driving in a new place. No wonder our New Year’s resolutions fail, when we try to change everything all at once. Thanks for the reminder to take baby steps one at a time. Well, I’m on a semi-vacation right now, so maybe I should start a new habit? 🙂 I notice that I still turn off the radio when I’m driving in heavy rain or going somewhere I’m unsure about. Good stuff, Anita! I’m super excited to get the checklist, Anita! How generous and kind of you to put that all together and then to offer it for free! Thanks for that and the linkup, my friend! Pinned and tweeted! Good advice to take one thing at a time! My tendency would be to try to do too many new things at once but it makes sense to start smaller and get used to one new thing before we add another. “As you form habits, you actually free up brain space to concentrate on other things.” Well, this is true, and Lord knows, I need more brain space! Actually, I can testify that forming one or two new habits at a time makes me less stressed. At the first of the year, I made a weeknight my laundry day and also made myself do one hour of bookwork for my work-at-home job. It helped me out on the weekends so much, I added a third move to my repertoire – 20 minutes of data entry after Sunday evening church helps my once a month report go so much more quickly. I count all of this as self care because it makes my self less stressed! Thanks for all your tips. I definitely check them out. Anita, you always have good tips. Thank you for your attention to self care and for the checklist! I know I need to get better organized in every area of life and I think your checklist will help. Blessings to you! That story about the radio and driving is very helpful! This whole post is very helpful, actually. It makes so much sense and it’s so practical. Thank you! I like the idea of starting a new habit on vacation, or when I get home from vacation. And you are right about not thinking about where we are going when we are driving familiar road. But taking a wrong turn when on roads we rarely drive. This weekend I took a wrong turn, while talking on the phone, which cost me 45 minutes. Yup, clearly no podcasts, radio, or phone for me on not so familiar roads. I can’t wait to receive the self-care list. I am getting reading to end a season of snow skiing. It is one of my best self-care things I do for me. I need to replace it with something new. Your wisdom about starting a new habit on vacation is fantastic. I am going to try it.